(Swiped this photo from Food Inc). 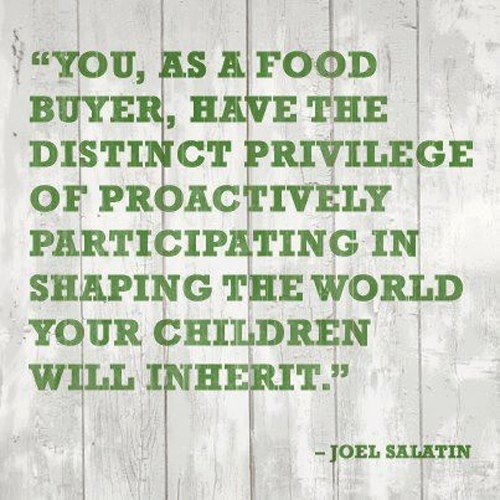 Joel Salatin is the farmer at Polyface Farm in Virginia. He’s an author, lecturer and total visionary and innovator. He develops sustainable farming methods and is extremely passionate about local food. Wise words indeed.